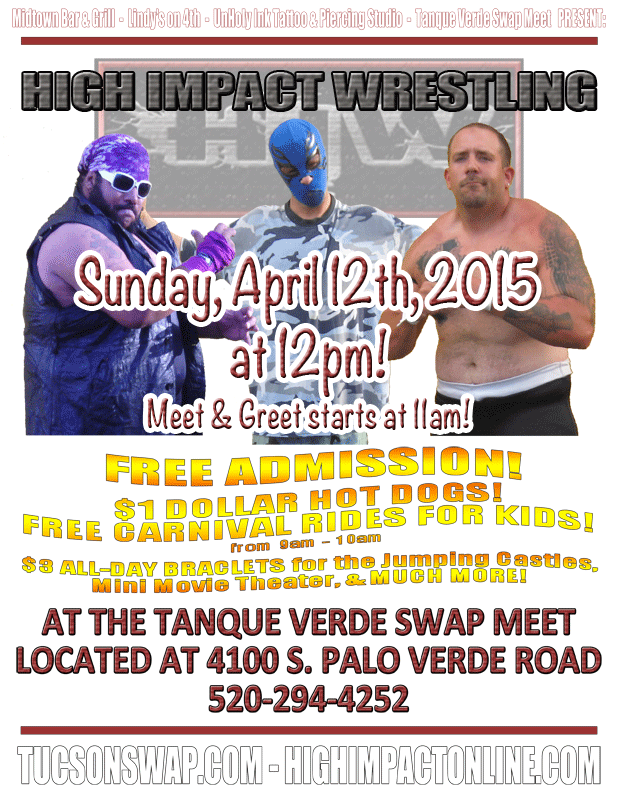 HIW returns to the Tanque Verde Swap Meet another afternoon of action! This is an all ages FREE show, but as always parental discretion is advised. 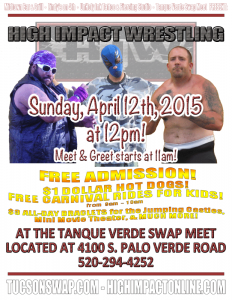 Meet the wrestlers at the Meet & Greet at 11am. The action starts at 12am! *Depending on weather or acts of God the event may be delayed, but it will happen that evening.